Since it takes more energy to dig up and produce aluminum than any other metal, recycling not only avoids resources to be extracted from Earth, it also saves energy – lots of energy! Recycling is something that will help us save and preserve our planet, because recycling is something anyone can do and even the smallest thing helps. Recycling of aluminum cans not only saves energy. It also avoids the mining of new Bauxite ore used for aluminum production. Every year, recycling avoids nearly 5 percent of the world’s total mining of Bauxite – and that’s just from recycling aluminum cans. Used beverage container (UBC) recycling is the most recognized of the aluminum recycling programs. 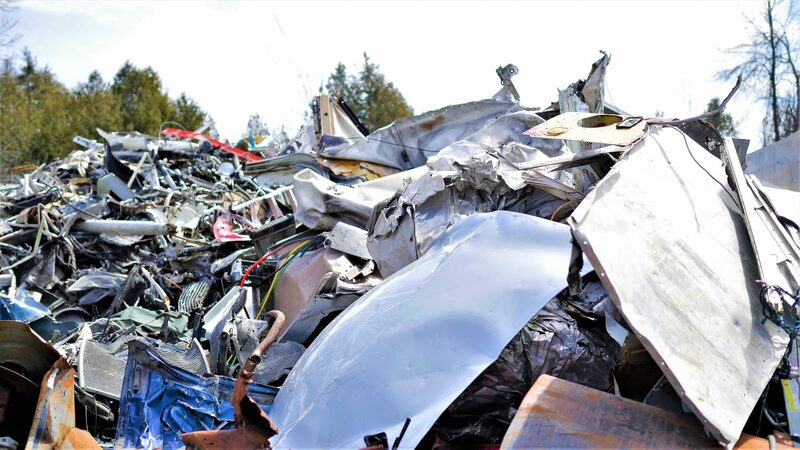 However, end of life recycling of certain products like building parts and cars allows for the production of recycled materials like window frames, wire, tubing and electronic parts. Not sure if that metal in the garage is recyclable? Call or stop by today! We’ll assess your materials and determine if they can be recycled. We make it fast and simple to be green! Aluminum actually is the perfect material for recycling because aluminum doesn’t have limitations as to how many times you can recycle it. Since you recycle aluminum by melting it down to a liquid form and then the liquid aluminum is molded it into new objects, it enables the aluminum to be melted down again and again and without fail the aluminum will be good as new at the end of the recycling process.